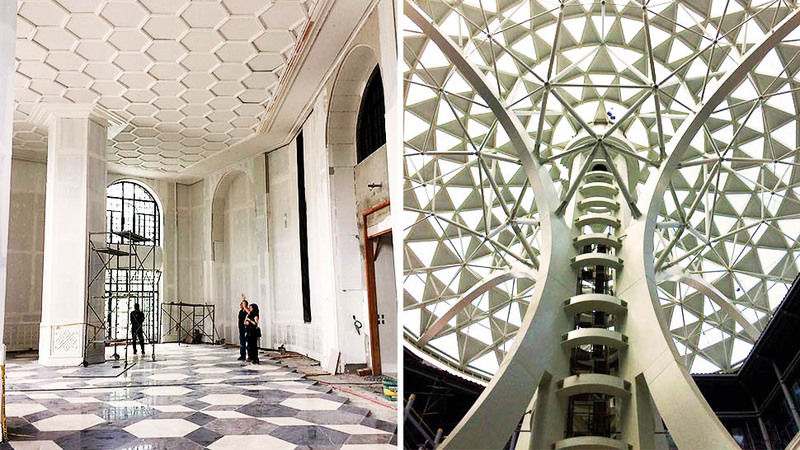 The story of the National Museum of the Philippines is the expression of grandeur on many levels. There are the historic buildings, the priceless collections of art and archaeology, the flora and fauna. 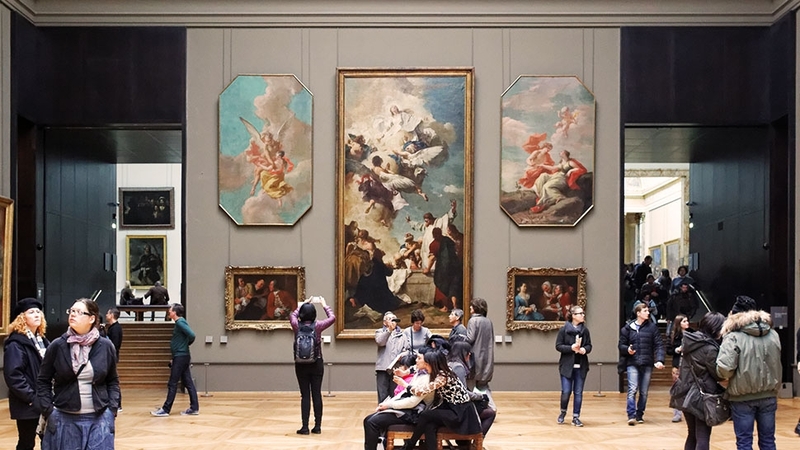 But the force behind it is the majesty of the human spirit: the nobility of volunteers and culture workers, the generosity of philanthropists and visual artists. 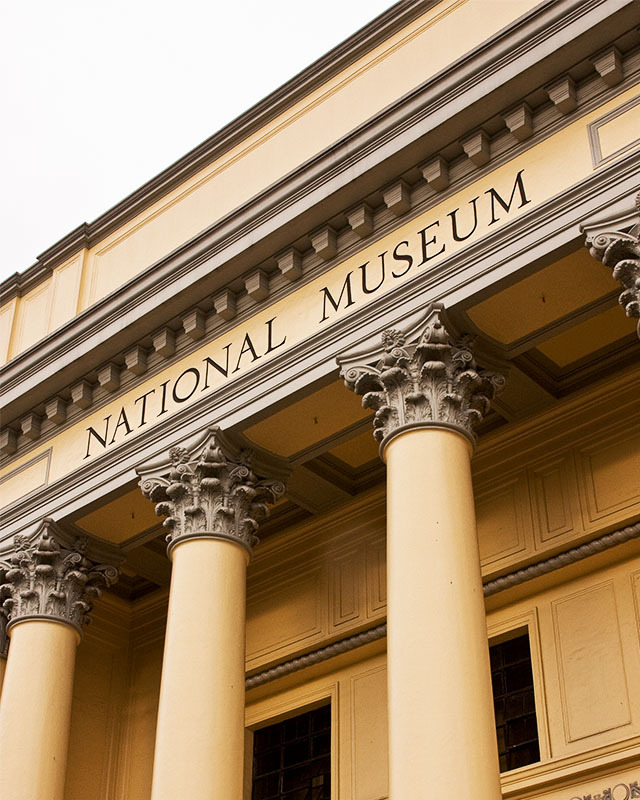 The National Museum of the Philippines was established in 1901 during the American regime. 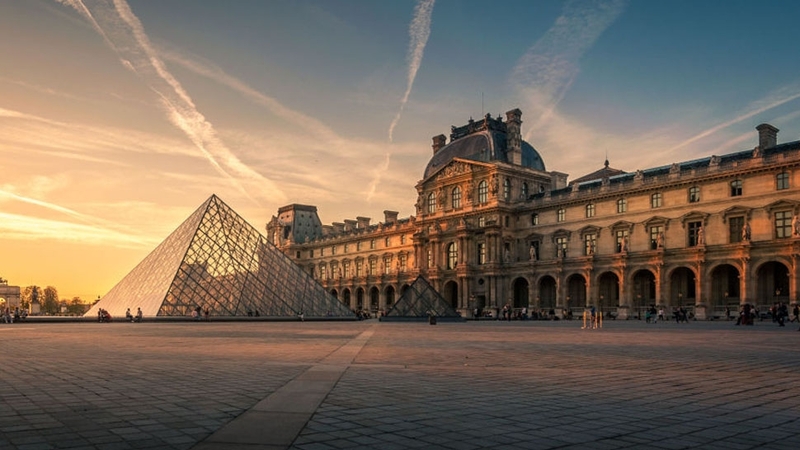 Modeled after the Smithsonian Institution, it began as a museum of ethnology and natural history and evolved to include archaeology, anthropology and the visual arts. In the context of global culture, its reach was far and wide. 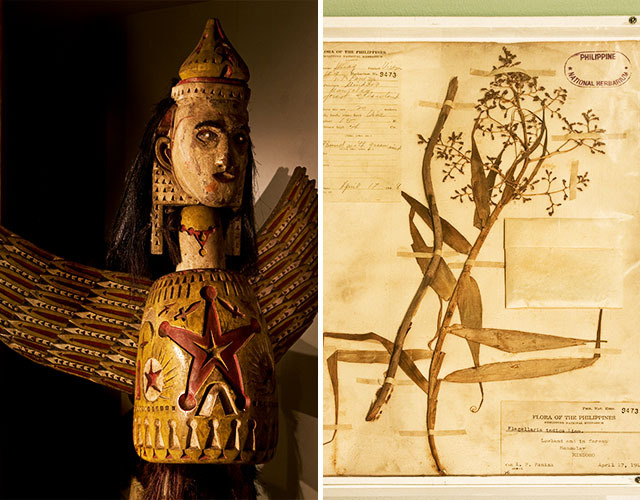 It belonged to a network of museums that exchanged research data and botanical rarities. World War II, however, destroyed the entire Philippine herbarium with hundreds of thousands of specimens. The director at the time was Dr. Eduardo Quisumbing, a respected scientist, and an orchid specialist. Unfazed by the damage, he requested every botanical institution with which the National Museum had exchanged plant specimens, to send him samples of their replicates. With their immense support, he succeeded in restoring a substantial part of the herbarium. Museum workers regard one another as partners. Our scientific illustrators do such fine work that they are often engaged by the Smithsonian Institution. Our scientists interact with the best minds in Asia, Europe and the United States, and are acclaimed in the herbaria and archaeological institutions of all three continents. For more than a hundred years, lovers of science, culture and the arts have brilliantly championed it in a historic saga of idealism, altruism, and will. 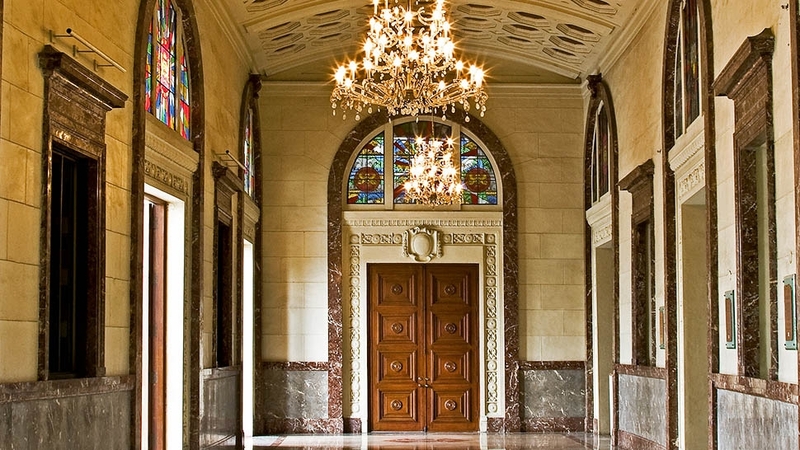 Vestibule of the National Art Gallery, home of the Filipino soul. 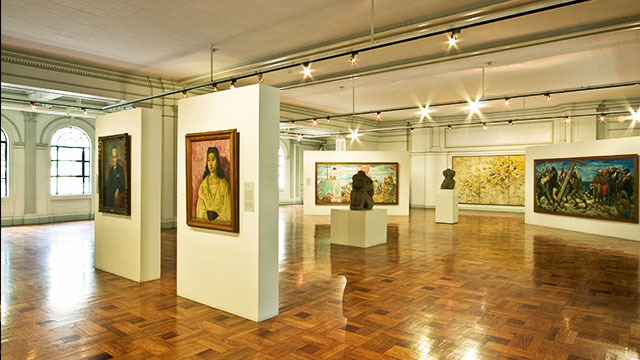 The Gallery of National Artists for the Visual Arts with works by Fernando Amorsolo, Victorio Edades, Carlos Francisco Napoleon Abueva, Jose Joya and Vicente Manansala. 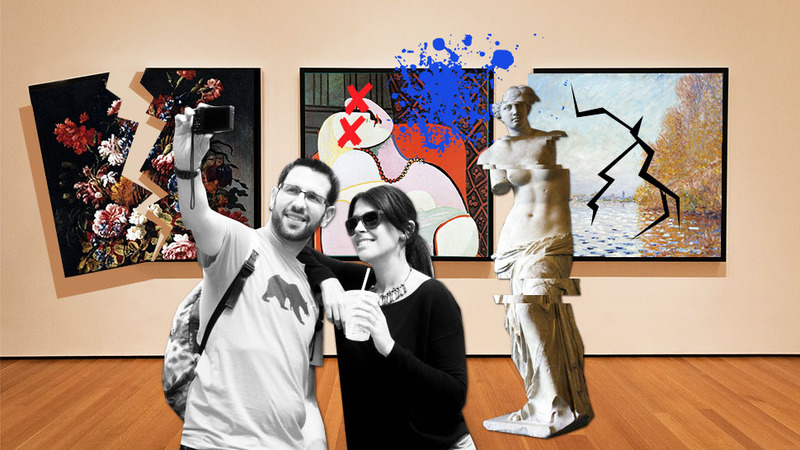 The culture of benevolence impacts the museum in endless ways. 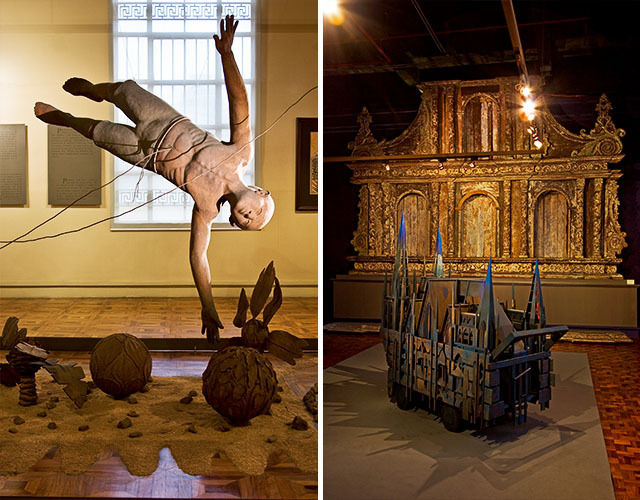 Through the altruism of artists like Agnes Arellano, Ral Arrogante, Dudley Diaz, Julie Lluch and Jose Tence Ruiz, its contemporary art collection has been enlivened. 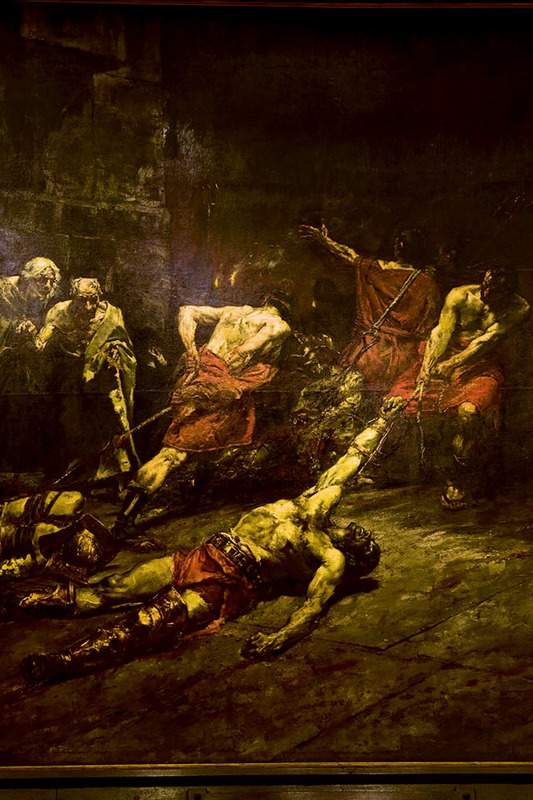 Detail from Juan Luna’s Spoliarium—the iconic centerpiece in the Hall of the Masters. Endowments have supported the restoration of a Juan Luna masterpiece, Una Bulakeña, as well as the Ifugao house in the museum courtyard. Cecile Yulo-Locsin and her family gifted the National Art Gallery with its most significant bequest: The Assassination of Governor General Bustamante by Felix Resurreccion Hidalgo. The museum itself was once like buried treasure shuttled from place to place, sometimes in dark old buildings that frightened children away. For decades, 85 percent of its collection was stored in crates. In spite of international renown, it appeared extraneous to the Philippine government. 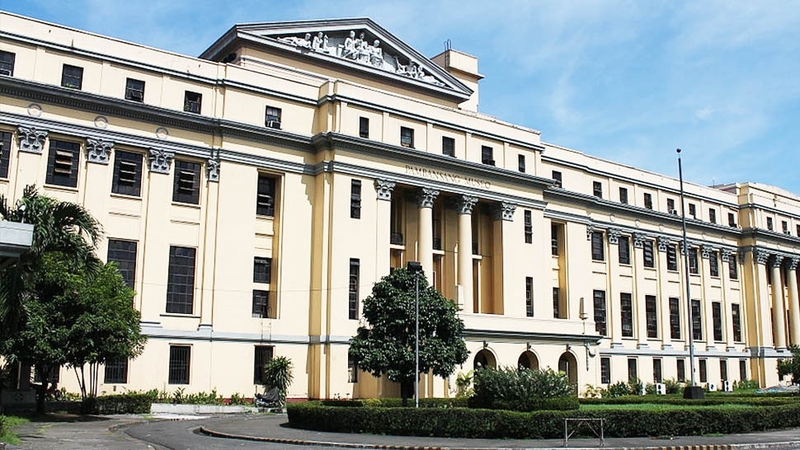 During the 1980s, it was located on two floors of the Executive House along with the offices of Prime Minister Cesar Virata and the Sandiganbayan. To bring it some measure of recall, Imee Marcos organized the Friends of the National Museum, which presented a highly successful exhibit of 19th-century masterpieces. However, it came to an end with the people power revolution. 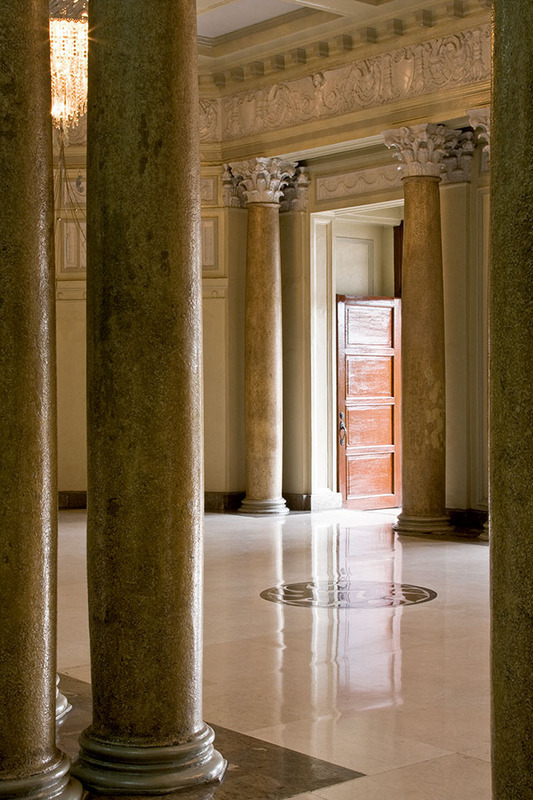 Amid all the flux, there were visionaries—scientists, scholars, art patrons—who believed in the institution and fought relentlessly to uphold its relevance. In 1995 the name was changed to the Museum Foundation of the Philippines, and Tata Poblador was elected as its first president. More than ever, the members were unyielding in their resolve to have an honest-to-goodness museum by 1998, the year of the Philippine centennial. They prevailed. And with superlative success. On February 12, 1998, President Fidel V. Ramos signed the National Museum Law, establishing a board of trustees and designating three classic buildings for the museum’s permanent use: the Department of Finance, the Executive House, and the Department of Tourism. At the same time, he founded the Presidential Committee to Assist the National Museum to raise funds for massive renovation projects. It was chaired by Finance Secretary Ramon del Rosario, Jr., who was applauded by the cultural community for promptly vacating the Finance building and moving to the Bangko Sentral complex. The Committee raised about P650 million to renovate the first building, the Museum of the Filipino People. The distinguished philanthropist Washington SyCip has liberally supported the Museum of the Filipino People and the National Art Gallery. 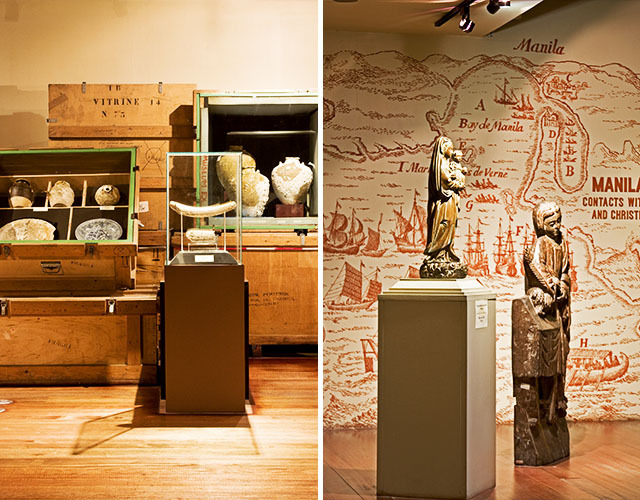 The “Five Centuries of Maritime Trade Before the Arrival of the West” exhibit. 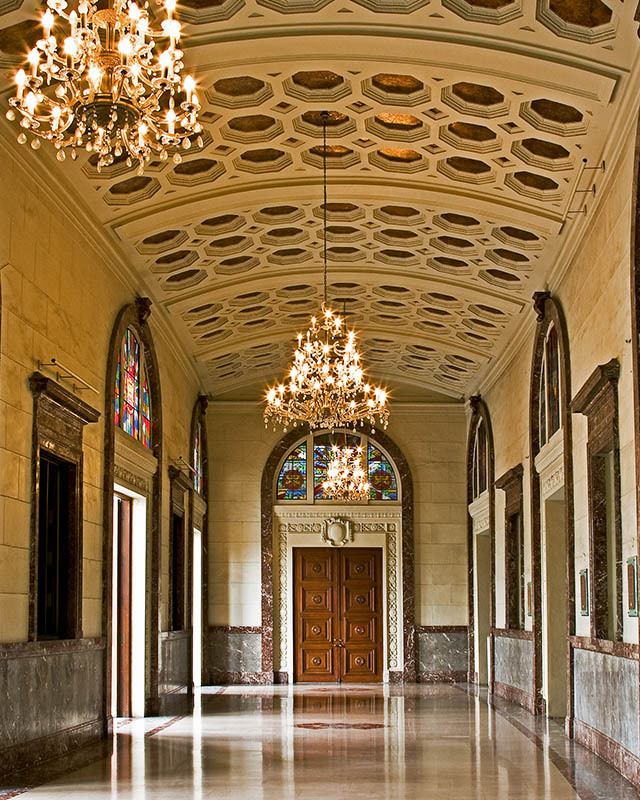 The National Museum of the Philippines has become a living, thriving institution. We have all come to find inspiration in our heritage, and to learn about worlds beyond our shores. Art openings scintillate. For more than a hundred years, lovers of science, culture and the arts have brilliantly championed it in a historic saga of idealism, altruism and will. It is for us to pursue their vision with the same spirit of nobility and grandeur. We should be so privileged.